Is raw milk cheese dangerous or delicious? Or, how I came to believe in the regulation change that keeps me eating delicious dairy products without fear. You’re planning a dinner party and need a good cheese plate, so you head out and happen to pick up some raw cheese. Imagine creamy brie, sliding along a cracker; or perhaps a harder manchego, squeaking against your teeth. Maybe you stopped by the farmers’ market and picked up a delicious chevre. Little did you know, any of those delicious raw dairy goods could sicken and possibly kill some of your guests. A partygoer that’s pregnant, elderly, or on the younger side can have a fatal reaction to cheese made with raw milk. But raw milk cheese is often better-tasting, and its proponents claim it’s more nutritious and better for farmers’ welfare. While the FDA wants to regulate its production and sale, a number of activists and consumers are fighting for their right to snack. The debate was recently reignited after a well-known raw cheese from a small farm in upstate New York killed two people. Raw cheese is different from other cheeses because of its main ingredient: raw milk. It’s a foodstuff that routinely causes illness and death, yet it has gone from being illegal across the U.S. to being allowed in all but seven states. It’s both beloved and reviled. It’s at the center of a massive, spiraling argument about the government’s ability to regulate small farms. It’s also purportedly delicious, way better than your standard dairy fare. Raw milk is simply unpasteurized milk — meaning it hasn’t been heated to remove the potentially dangerous microbes lurking inside. Popularized by Frenchman Louis Pasteur in 1856, pasteurization was the solution to particularly nasty developments in urban milk production that came to pass after the Industrial Revolution. Producers would mix ingredients like chalk or plaster of Paris into their batches of milk to make them whiter, according to Neatorama. In case those ghastly mix-ins weren’t enough, tuberculosis was another guest that would lurk inside of milk jugs, according to HowStuffWorks. When word got out, it caused an uproar, leading to the creation of the Food and Drug Administration (FDA) in 1906. From the start, however, the relationship between the FDA and small dairy farmers — especially those in the business of raw milk — has been a bit testy. One of the first set of laws created, called the Pure Food and Drug Act, requires farms to pasteurize all of their milk, and producers to adhere to a number of strict regulations about how they handle the cheese, from milk to finished curd. There’s far less food poisoning and far better nutrition for consumers, according to the CDC. Raw milk is regulated under these laws, too. It must be aged for 60 days in hopes of killing some harmful bacteria that may be lingering, and it can’t be sold across state lines, since some states differ in their regulations. 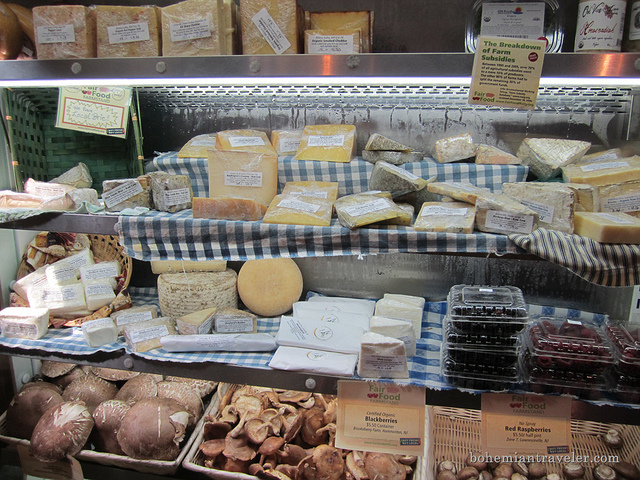 But these cheeses are still held to a way lower standard than their cooked counterparts. But raw cheeses still regularly kill consumers, and for that reason, it’s still illegal on a federal level. This rubs some people, like Elizabeth Rich, the wrong way. She’s an environmental lawyer and founder of the Farm-to-Consumer Legal Defense Fund, which specializes in protecting farmers who make raw milk from being regulated or sued. Her interest in raw milk began when she started raising goats and began, curiously, drinking their unpasteurized milk. Rich knows that these health benefits have little scientific backing; most scientists are focused on the illnesses raw milk can cause instead. According to Robert Ralyea of Cornell University’s Department of Food Science, the elderly, small children and pregnant women are particularly at risk. Those were two of the people killed by the upstate New York soft cheese — made by a small farmer who Ralyea knows personally. “Nobody wants to kill anybody — there’s no doubt about that — but it happens,” Ralyea said. His job is to ensure that upstate New York farms update their facilities, and he bears a certain bullish practicality when he discusses how small farms should modernize. His approach makes sense: enforce simple rules and save lives. One of the ideas he supports for addressing raw milk cheeses’ safety would simply be to address the scientifically-lacking 60-day rule. E.coli and other bugs have been found happily vacationing on the cheese after a year — leading some regulators to call for a longer aging process. Unfortunately, many cheeses need extremely specific and often short aging periods. For instance, to keep brie’s gooey texture perfect, it needs to only be aged for around a month. For harder cheeses, their texture mandates a much longer aging time, of around a year. If you change these aging periods, you end up with one heck of a weird cheese. It may be healthy, but it’s no longer brie. What would work, however, is simply testing the milk and its cheese to see if it has the bacteria. A tiny sample from each batch would be sent to a lab, which would check for the presence of harmful bacteria like E. coli or Listeria. This practice is woefully underutilized, according to regulators in the industry. So why wouldn’t we test? “That’s a great question,” Ralyea says. While that testing might make the cheese safer for consumers, he adds, it would mean that the FDA would need to regulate farmers with specific procedures and probably oversee the testing of that cheese to make sure it didn’t have pathogenic bacteria. Many farmers wouldn’t take kindly to those new rules and regulations. Even small steps, from pasteurizing milk to enforcing those tests, upsets traditionalists like Rich. She feels that the FDA’s requirements push farmers towards standardization and sterilization, rewarding industrial food producers all in the name of being overly cautious. “Regulators are aiming for the impossible: zero risk,” Rich said. By sterilizing their products, the cheese is safe, but producers sacrifice individuality and quality. She much prefers the European system, which has farmers institute their own rules and regulations before sending their cheese to market. However, as Ralyea pointed out, European cheeses are tested for the presence of harmful bacteria before they’re sold — something that Rich said most of her clients were not interested in. If a cheese or a batch of milk was contaminated, it would all need to be thrown away. But lives would be saved. “In my ideal world, I think some accountability is a good thing, but we have proven that the government is not the right entity to do that,” she said. “[Testing] is burdensome and too expensive. After all this discussion, I knew that the time had come: I needed to try the cheese. Would this lack of testing lead to my doom? Would it really be worth the taste if I found myself barfing a few hours later? It was time to find out. My first stop was my local grocery store. I figured they probably wouldn’t carry raw milk cheese, seeing as it’s so dangerous, or maybe they’d have some in a back room, in some kind of locked case to keep the public safe. I walked up to the counter and sheepishly asked if they had any on hand. The woman behind the counter seemed confused. Of course they had it. Did I want hard or soft? “Hard,” I said, thinking of the killer soft cheese from upstate New York. I watched, surprised, as she pulled out a block, cut off a thick, yellow slice and handed it to me. With a quick reflex, I popped it into my mouth, trying not to think about my impending demise. It was rich, with a give like a very dense loaf of brown bread and winey notes of aging hay. It was, I had to admit, very good. The cheese, a kind of gouda, was actually on sale behind me. To my horror, the raw milk cheese had been cut up into tiny samples with toothpicks, practically roasting in the absence of refrigeration. I could almost see the E. coli wafting off of it. I wanted to beg the woman to tell me if this was legal, if this was safe, if I was going to die, but she’d already started helping another customer. My mind was racing. Was raw milk cheese really that common? Unremarkable? I’d probably mindlessly devoured hundreds of raw cheeses with no idea of their potency, with no clue that I should be so afraid of them. I couldn’t figure out if this was a good thing, my idiocy saving me from years of subpar cheese, or if I’d been bamboozled and very lucky. Was the FDA failing to save me and all other cheese lovers from imminent death? Thinking that perhaps this store was just having a lapse in judgment, I decided to head to a fancy cheese shop nearby. I figured they’d have some, but I thought maybe their expertise would mean they’d treat this health hazard with the gravitas it deserved. At the very least, I thought, they’d have a locked case. They did not, either. And despite their wide assortment of raw cheeses, I didn’t see any signs alerting customers that they were taking their lives into their hands with every purchase. The very kind and patient man behind the counter stared at me for a second when I told him I was interested in raw cheeses but was worried they could kill me. As a cheese professional, he had never once been sick from cheese and neither had anyone else he knew. Ignoring my mild protests, he pulled out five raw options, setting my potentially deadly taste test into motion. First, a soft cheese, which he promised would taste like butter (and it did). Next, a cloth-bound raw cheddar: pungent and straightforward, sharp, a little mustardy. Then, a gouda — my mind raced to the recent death — milky, smooth, comforting, a little like almonds. Then he pulled out the pièce de résistance: a raw milk cheese, a towering block, laced with truffles like some kind of sinful babka. I put one sliver into my mouth and just sighed. I didn’t care if I was going to die; for death in that moment would have been so pure, so exalted, that I would have accepted even going out in a flood of diarrhea. It was so pure and rich, and the truffle so heady. I ate one slice, and then another, and then another. I could see what Rich was saying — raw milk cheese just has a complexity, a deepness of flavor that pasteurized cheeses can’t touch. As I walked away clutching my goods, I peeked at the package. In tiny print, I saw the word “raw” preceding the name of the cheese. There were no other indications anywhere that the cheese I’d fawned over had a higher chance of killing me. And it turns out that my hypochondria wasn’t a total folly. This past June, the CDC, tired of waffling around this issue, decided to use publicly available data on food illnesses and outbreaks to compile a risk determination for the years 2009–2014. Their paper found that the raw milk was 840 times more likely than pasteurized milk to cause illness. Shocking as this is, even these figures might be too low; they excluded non-cow milk, which makes up a significant portion of raw milk cheeses. However — perhaps because I’d just bought a very large amount of the stuff — I felt a bit suspicious of this answer. Unpasteurized milk might be a problem, but it’s also delicious. I wanted a solid reason to continue to enjoy it alongside the hundreds of others who love it and haven’t gotten sick. It may be 840 times more likely to cause an illness, but how often are people actually getting sick? I went to the same site as the researchers and conducted my own examination of the data. According to my analyses, from 2009–2014, there were a total of 1506 illnesses, 246 hospitalizations and 14 deaths from dairy, both raw and pasteurized, with the pathogens they focused on. The risk of death turns out to be less than the flu, which regularly kills 10,000 Americans per year, according to Bloomberg; less than lightning, with 37 deaths per year, according to National Geographic; and less than the number of deaths from jellyfish, which number 30 per year in the Philippines alone, according to Live Science. But, to be fair, the number of deaths was never the issue. The problem is really that any deaths from these cheeses are completely preventable and that the responsibility ultimately lies with the small-time farmers and producers. While consumers have good intentions, few are educated enough to understand the risks of what they’re buying — and most don’t even know that they’re buying raw cheese. What would truly be comforting is not only better signage but testing to be completely sure that the product is safe. The 60-day rule is arbitrary; why not replace it with something that could actually work? Instead of completely eliminating government oversight, the government could simply test cheese for the presence of dangerous pathogens. While all of this was percolating, I’d gotten so enthused about what I felt to be raw milk cheese’s clear superiority in taste that I’d spent a small fortune on samples. The truffle cheese had made its way into burgers; the gouda, so transcendent, I ate it in decadent slabs; and the cheddar, so piquant, I picked at slivers whenever I opened the fridge. I had some leftover pre-cut, standard deli cheese I’d bought for a dinner party. When all of the fancy cheese was gone, I sadly packed that into my lunch instead. I placed it upon a cracker and bit down. The sad, slimy texture, the dull flavor, hints of plastic from the bag — I couldn’t do it. I threw it away. The next week, I faced a decision at the supermarket. I stared from cold, hard processed cheese to vibrant, potentially-murderous raw milk cheese. I took the middle path, straight into educated food snobbery. I bought a delicious, small batch, farm-raised pasteurized cheddar and nothing else because I’d so recently emptied my wallet for my samples. I can report that I’m a happy and healthy woman still eating that cheese straight from the fridge. A lot of dairy farms nowadays even pasteurize the milk they feed to their calves because it cuts down on gastrointestinal issues that can come from pooled raw milk from multiple cows. It really is a safety measure and I cringe when people give raw milk to their young kids. It’s only a matter of time before someone gets sick. Focusing on deaths as the measure for comparison doesn’t reflect the complete story of the risks of raw milk products. Numbers of illnesses, both acute foodborne illnesses and ongoing sequelae caused by pathogens, are key in this discussion, as is the disproportionately high numbers of children impacted by such illnesses. Keep in mind too that most foodborne illnesses are not recognized or reported (from all foods, not just raw milk products), and thus numbers of illnesses are likely much higher. I’m French and we mainly eat raw cheese because pasteurized cheese is tasteless (not always but often). I never have been sick and never heard of someone being sick. Of course, that is no significant data, but anyway in my country, we’re more aware of food sickness with other products like oysters for example. That said, we don’t recommend raw cheese for pregnant women and kids under 3. Also, I think there is some truth behind what Mrs. Rich says : I never had so many gastrointestinal problems before I moved in the US and I didn’t even know what a probiotic was (And my diet type didn’t change). So I’m all for raw cheese and more diversity !